Weather has been challenging in the Pacific Northwest (PNW) where thunderstorms slowed harvest last weekend for growers in Oregon. 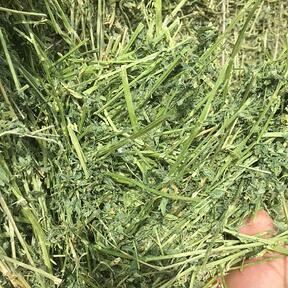 Some Alfalfa was baled prior to the weather, which is of high quality. Export hay is limited from 1st cutting in the Kittitas Valley and Columbia Basin of Washington State due to recent precipitation. Some growers have started 2nd cutting in the Columbia Basin, with others are expected to begin towards the end of the week. Fourth cutting is underway in the Pacific Southwest (PSW). High temperatures and moderate winds are making it somewhat challenging to put up top quality hay. Timothy harvest is in progress for growers in the PNW. Quality looks good at this time, and farmers in Washington State are using this weather window to their advantage as the chance of precipitation increases towards the weekend. About 25% of 1st cutting has completed, with about the same amount baled. Straw harvest in Oregon is expected to begin in the next two to three weeks. Growers in the Willamette Valley are waiting out a favorable weather window to begin cutting.